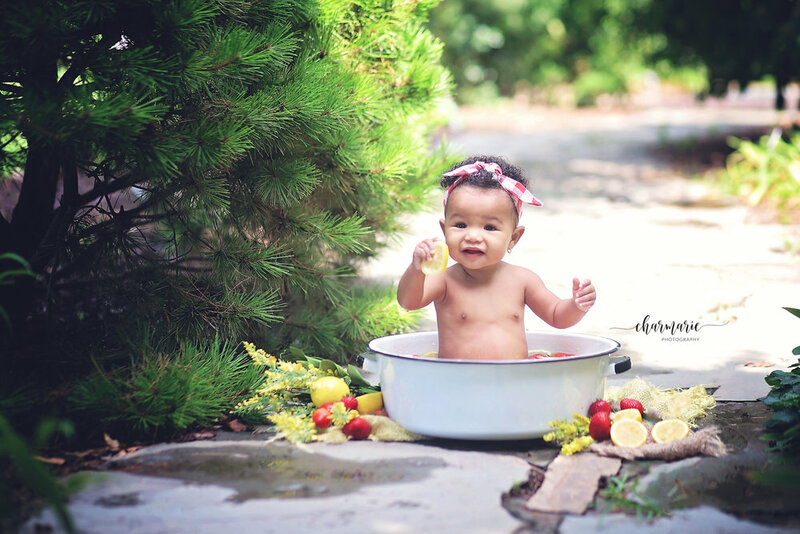 Carter cooling off from the summer heat with a sweet strawberry & lemon fruit bath at JC Raulston Arboretum in Raleigh, NC. 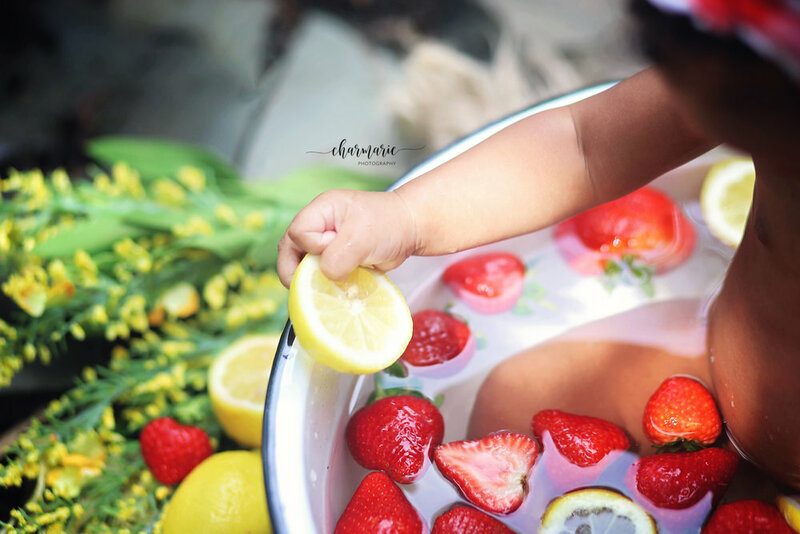 Such a super cute way to cool off this summer. 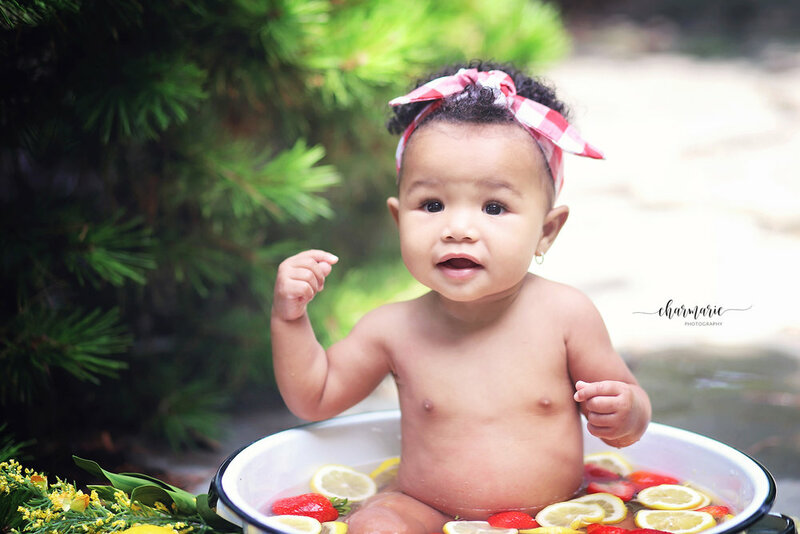 Perfect way to capture your little's milestone ages 6-12 months. 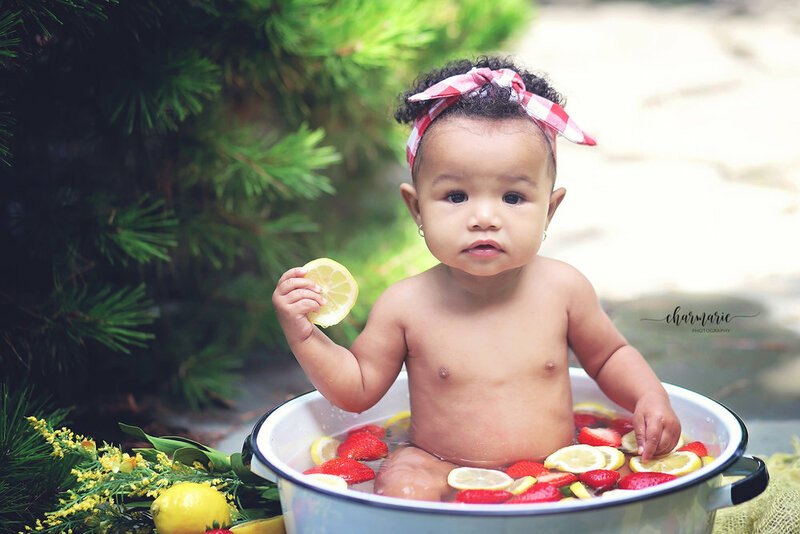 BOOK Your Fruit Bath Session Today!